It seems as if Instagram is hyper obsessed with mobile devices. Trying to simply upload an image at a normal size is like pulling teeth unless you are using a smart phone or tablet. Even the Windows 10 Instagram desktop app doesn’t work like the mobile app. You either have to upload your photo in a mobile shaped rectangle or send your photo directly to everyone whose following you. It’s the reason I rarely use Instagram. Does everyone love trying to type stuff on a tiny phone screen? Certainly it seems discriminatory for seniors and the handicapped who might want a big screen to work with. There is finally a way to just upload your photo without any hassle through Google Chrome. The video above details the steps to take. On your Google Chrome Menu go to “More Tools” Then Click “Developer Tools”. A small screen pops out on the side. Click the two rectangles icon that says “Toggle Device Toolbar” when you hover over it. 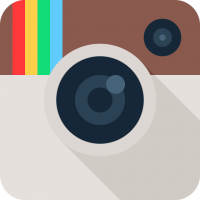 Your browser screen will now act like a mobile device to command override the Instagram insanity! When you go to Instagram.Com you will finally see the elusive plus sign icon at the bottom of the screen that allows you to God forbid upload an image from your desktop computer quickly. From there you can add a caption and post. Every time you open up the site in Chrome it should remain as is unless you clear the cache. Unfortunately, I’m sure they will find a way to curtail this as the mobile device supremacy flies forth into the future! This entry was posted in Internet Publishing, Social Media and tagged Instagram on March 21, 2018 by Admin. 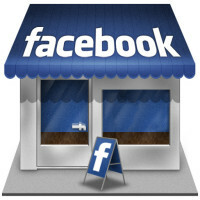 Facebook users have always had the ability to create business, fan, and group pages under their personal account. They also had the ability to log on as that page in one click to interact on Facebook free of their personal identity. Simply a must when acting on behalf of your business, or page whose subject is separate from your own. Unfortunately Facebook recently ended that power, and didn’t bother to explain things which is their usual inexplicable course of action! Thankfully the video above explains that things aren’t as bleak as they seem for those of you with one or even multiple pages of a non-personal nature. There are various drop down menus that substitute the business page log on. This will allow you to comment as your page, like comments, and like other pages as your Facebook page, business, or group when doing so with your personal identity wouldn’t make any sense. Unfortunately the one thing you lose is the ability to be logged on as your page so your Facebook friends can’t see you’re online. However there are ways to organize, and classify friends in order to accomplish that. Hopefully Facebook will not further tweak things, and impede business in their obsessive quest to collect as much information about people’s personal identities as possible! This is one of the many reasons why Twitter is the superior social media platform! This entry was posted in Internet Publishing, Social Media and tagged Facebook on April 9, 2016 by Admin. Due to the early days of everything being free on the internet the public consciousness has this general set notion that everything should still be free on the net. Specifically intangible items such as apps, software, ebooks, and various website content. Unfortunately without any monetary motivation, or ability to maintain things, your access to various products, services, and information would be limited. Don’t overlook an online product just because it’s paid. It could be far better than the free stuff, and save you many headaches in the future. Support quality internet publishers whether they offer free, paid, or a combination of both. Otherwise the internet will just become a worthless wasteland. This entry was posted in Internet Publishing on September 20, 2014 by Admin.